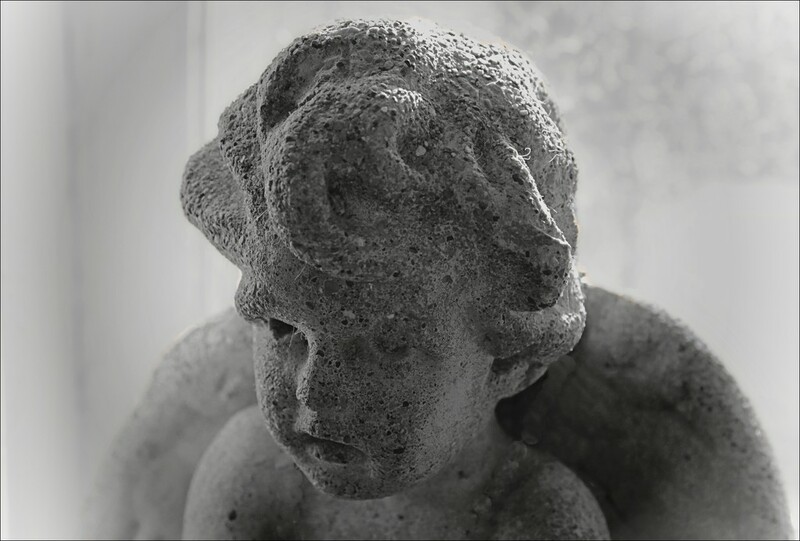 I loved how softly the light was falling around this sculpture of an angel at the art gallery. Beautiful textures. Miss the green moss on it. Lovely sculpture with great textures. Lots of texture and nice close up of the head of this sculpture. Thank you Ferry, Helen, Henri, Katy, Haskar, Diane, Wendy, Kathy, and Rick! The lighting in the gallery was great- there were both overhead spots and light coming in through the windows. I was also using my new macro lens here. I'm going to enjoy that lens! !